You need to shield your eyes from UV rays and the water’s reflection like a true fisherman by using the best fishing sunglasses or best-polarized sunglasses. 0.1 What are Polarized Fishing Sunglasses? Patience may be the key to making that big catch.But all fisherman knows that wearing a good pair of polarized sunglasses is vital to give you that small edge to see through the shallows. And that might be all you need to cast that lure just there where you saw that faintest of movement. Protecting your vision should always be a priority and this is particularly true when on the water. This is where polarized fishing sunglasses come in. They shield your eyes from the water’s reflection and harmful UV rays. 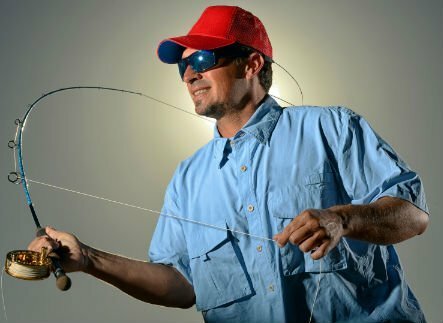 What are Polarized Fishing Sunglasses? Polarized sunglasses have been around for many decades and are popular among fishermen as well as boaters who need to minimize reflected glare from surrounding water. They are also popular among bikers, joggers, skiers and outdoor enthusiast who need complete elimination of glare for improved performance and safety. The nature of light is to travel in all directions but become polarized when it is reflected from hard surfaces. In other words, it travels in a more uniform direction. This often creates a somewhat dangerous intensity of reflected light that reduces visibility. Polarized sunglasses use a special filter to block reflected light and reduce glare. They go a long way towards improving comfort and making your fishing trip more enjoyable. The Costa Del Mar Fantail Sunglasses were introduced to the market in 2011 and have since proved worth every penny. 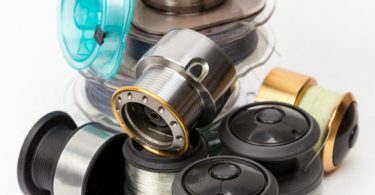 They incorporate loads of the company’s unique technology to deliver unparalleled performance. They provide high contrast and are great for everyday activities. The lenses are available in either glass or polycarbonate, both of which are scratch resistant. The polycarbonate variants offer better impact resistance while the glass lenses give you the clearest optics. Use of LightWAVE glass ensures 100% UV protection, 100% polarization and is 22% lighter than standard polarized glass. Also featured is Costa Del Mar’s 580TM technology, which eliminates all glare from yellow light in the 580nm spectrum. This boosts green, blue and red light to give you better contrast. Anti-reflective and water-repellant coatings boost clarity further. The Fantail frame has an aggressive square design with a medium or large fit. It is designed to withstand prolonged outdoor use with co-injected nylon and low-profile integral stainless steel hinges. Wire core temples are used to provide maximum stability throughout the frame. The ONOS Carabelle Polarized sunglasses feature the high-quality TR-90 memory frame construction. The frame comes in a high gloss color and offers the best performance in terms of durability as well as comfortable fit. ONOS uses a polarized filter that absorbs horizontal light to eliminate glare and improve visibility. You get clear and crisp vision with better depth perception and increased contrast while outdoors. The polarized CR-39 lenses also provide 100% UV and UVB protection. The Carabelle Sunglasses are provided in multiple styles including +1.5 Add Power, +1.75 Add Power, +2 Add Power, +2.25 Add Power and +2.5 Add Power. Whether you like fishing in the open waters, need something comfortable for your backpacking trips or cycling, you can be sure that there is a Carabelle style to fit your needs. Lens color options offered include blue, gray and black. The Costa del Mar Blackfin Sunglasses are great for the outdoors as they have a sporty look and a cool design. They are known for how well they fit and sit on the face. Many customers applauded for their great fit, which is a huge plus the outdoors. There are different lens color and material options to suit different user needs. For instance, amber offers the highest field of vision and is good for situations where you need high contrast. On the other hand, blue mirror offers a superior contrast to eliminate glare and is good for open waters. Other color options include copper, green, grey and sunrise. Costa offers these sunglasses with either glass or polycarbonate lenses. They are scratch-proof and offer superior clarity, 100% UV protection as well as the best polarizing efficiency. The sunglasses are designed to enhance vision while providing optimal comfort. This is achieved with a co-injected bio-based nylon frame that is tough and provides a comfortable fit. The 100% polarization helps eliminate glare and minimize eye strain. Like all sunglasses in Coasta’s lineup, the Blackfin is backed by a lifetime warranty. The Mack Polarized Sunglasses by Pelagic are designed to fit a wide range of facial types depending on the wearer’s preferences. They use advanced polycarbonate lenses made using the proprietary XP-700 Polarized Lens System, a technology that creates the ultimate visual advantage on and off the water. The Melanin Technology helps with enhancing contrast and clarity. Pelagic utilizes five layers of anti-reflective coating to maximize UV protection. Also featured is Pelagic’s Carbonite-16 frame technology, which is engineered to withstand the extreme conditions of offshore environments. You get incredibly tough and sturdy frames that are perfectly balanced for comfort and style. Available in multiple lens colors, the Tifosi Tyrant 2.0 is designed for use in all conditions. the sunglasses come with polycarbonate lenses that offer the best in performance, UV protection, and reduced glare. They help minimize eye strain and improve contrast. While non-polarized, the 100% UV coating offers ample protection from harmful rays. The frames are made from TR-90 nylon material its light weight and chemical resistance. Also included are adjustable nose pieces made from hydrophilic rubber to improve grip even when you sweat. The earpieces are made from the same material as the nose pieces and limit slippage. The lenses are vented to increase airflow and keep the wearer cool. The Flying Fisherman Cabo Polarized Sunglasses are a sleek accessory that fits nicely around your face. They boast great craftsmanship with matte black frame and amber lenses. What users love most are the polarized triacetate lenses, which are scratch resistant and impact resistant. They are also lightweight, but this doesn’t affect their durability as with other models. Flying Fisherman uses AcuTint lens coloring system to provide increased contrast without distorting the natural colors. The lenses offer 100% UVA and UVB protection, an incredible feat given the extremely low price. Temple pads and nose grip pads are used to guarantee a comfort and stay-put fit. The Flying Fisherman Maverick Polarized Sunglasses are a flexible wraparound accessory specially designed for fishing. They are made from high-quality materials to ensure durability and longevity without digging a hole in your pocket. The lenses are impact and scratch resistant yet lightweight. They offer 95% protection against UV UVB, a letdown given what other models offer but still decent at the low price. The polarization makes it easier for you to see what's going on in the water and prevents eye strain by eliminating the painful glare of water reflection. The lenses are tinted with the AcuTint lens coloring system. One of the best features of the Maverick Sunglasses is the ability to adjust for different sized heads. They work perfectly for anyone with a large or small head. This helps prevent one from accidentally dropping them on a hard surface in your boat or in the water. The glasses are reasonably priced and high quality. The San Jose Polarized Sunglasses by Fly Fisherman are pretty lightweight and a delight to wear on sunny days of fishing. They boast premium triacetate polarized lenses that are engineered to be impact and scratch resistant. You will not have to worry about dropping them as you scramble for fishing tackle thanks to soft rubber nose pads, temple pads, and sturdy frames. These work together to ensure a snug and comfortable fit. The metal frames have spring loaded hinges that prevent stretching while the AccuTint Lens Coloring System boosts contract without the bothersome distortion of natural colors. These sunglasses provide 100% reliable protection from harmful UV rays. They are suitable for fishing, driving and other outdoor activities. The metal frames come in copper and silver, and you can choose either amber or smoke lenses. These are shipped to you with a limited 1-year warranty. The Newport Polarized Sunglasses are comfortable and lightweight, hence easy to forget that you are wearing them. They have rubber nose pads and plastic tips that are adjustable to optimize your comfort. The polarized lenses are mirrored to provide 100% UVA and UVB protection. This helps eradicate glare from water or reflections off of a wet road. They make it easy for anglers to see exactly what is going on under the water surface. The wraparound lenses are our favorite feature mainly because they protect the eyes from different angles. You will not have to worry about picking up harmful rays through the corner of your eye. Concluding our list are the Motelan Polarized Sunglasses designed for driving and fishing. They offer 100% UV UVB protection and do a great job of filtering glare, enhancing contrast as well as reducing eye squint and strain. They offer a realistic perception by reducing reflections. The lightweight metal frames made from an aluminum and magnesium alloy. They come in multiple lens colors to suit different circumstances. Like most models on this list, these are fitted with an adjustable temple, nose pad and flexible arm for increased comfort. Additionally, Motelan Polarized Sunglasses are backed by lifetime breakage warranty and 30-day money back guarantee. Choosing the right polarized sunglasses is essential to being able to see the fish. Whether you are looking to replace your old sunglasses or are new to the game, here are a few factors you should consider during your search. The color of polarized glasses you need depends on where you will be fishing. For instance, grey colored glasses are a good option when fishing at the bottom of the stream or lake. They allow you to see everything between the eyes at the bottom of the river. Amber colored lenses are suitable for most situations mainly because they are lighter colored. 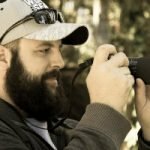 They work great in low light and bright light conditions. The bottom of most lakes and rivers will amber or brown colored and in such cases, amber colored lenses will provide good visibility and allow you to see most fish. Dark grey lenses are good if you know the sun will be out all day or don’t want your eyes to feel fatigued from fishing all day. They are a superior choice for use in rivers where the bottom is mostly grey or limestone. Light lens colors like yellow, rose or vermillion are too weak to be used on sunny days. 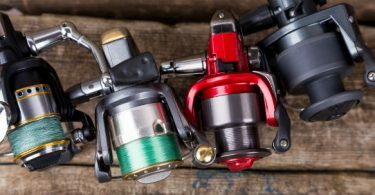 There are three main options when it comes to lens materials for fishing sunglasses. Glass is the heaviest and offers better clarity. It is scratch resistant and cracks in a similar fashion to a windshield if you have an impact with glass lens. Acrylic lenses are the cheapest and offer the least amount of clarity. Polycarbonate/polyurethane lenses are lightweight and mostly used for high-end polarized sunglasses. They are fairly scratch resistant, offer great impact resistance and good protection for your eyes when fishing. The mirrored coating offers more than just the ability to look wherever you want without anyone seeing your eyeballs. It helps cut down the glare considerably by reflecting most of the light away from your eyes. An important aspect of choosing polarized fishing sunglasses is fit as it affects comfort. Consider how well a pair of sunglasses will fit your face before purchase. You want to ensure that there is little to no light coming in around the edges of the glasses. Any light that comes will reflect off your face onto the lens, thus affecting your ability to see clearly. There are many polarized fishing sunglasses brands to choose from but we are particularly fond of Smith, Costa del Mar, and Pelagic. All of these companies offer great value and warranties. They offer inexpensive glasses with different lens colors to suit different needs. Whatever your preferred brand, ensure that you shop around for a pair that best suits your needs and fits your face well.